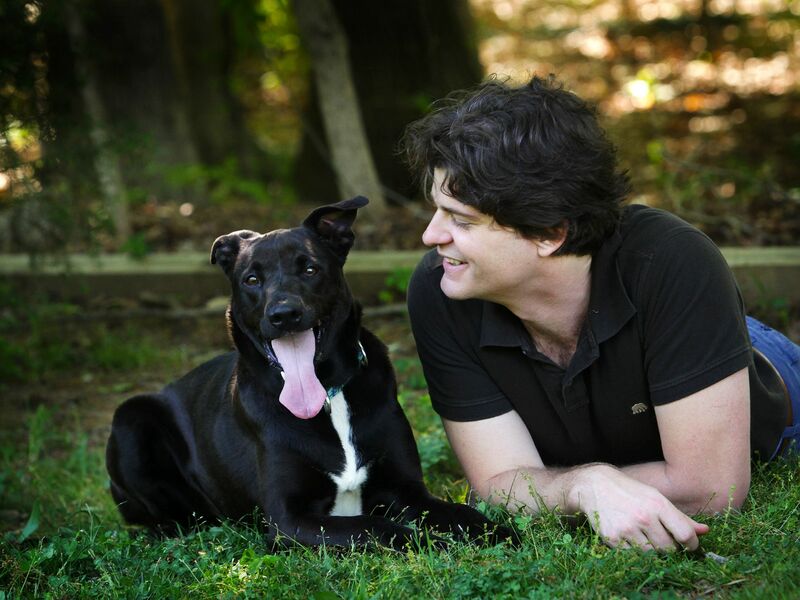 Dr. Brian Hare with Tassie the dog. This image is from Is Your Dog A Genius? 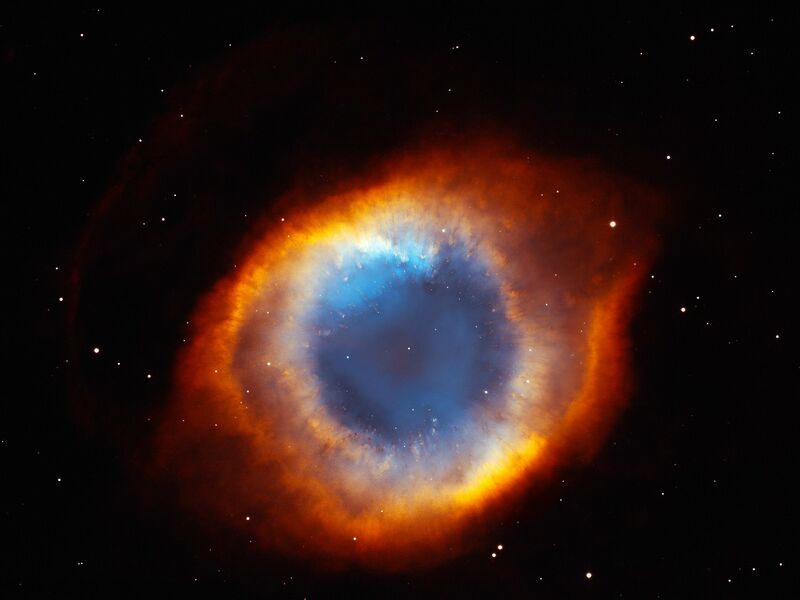 The coil-shaped Helix Nebula. This image is from Hubble's Cosmic Journey. 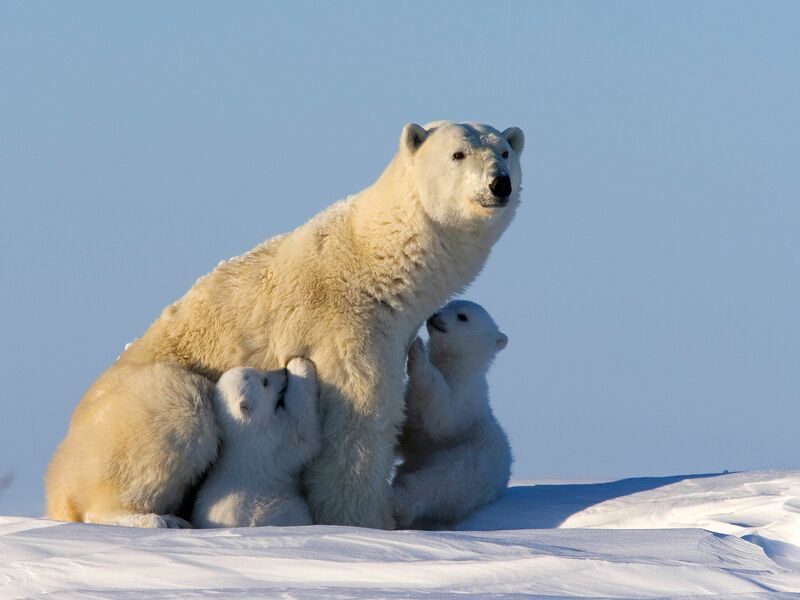 Canada, Manitoba, Wapusk National Park: On her way to the sea ice the polar bear female often stops to suckle her young. This image is from Bearhood. Los Angeles, CA. 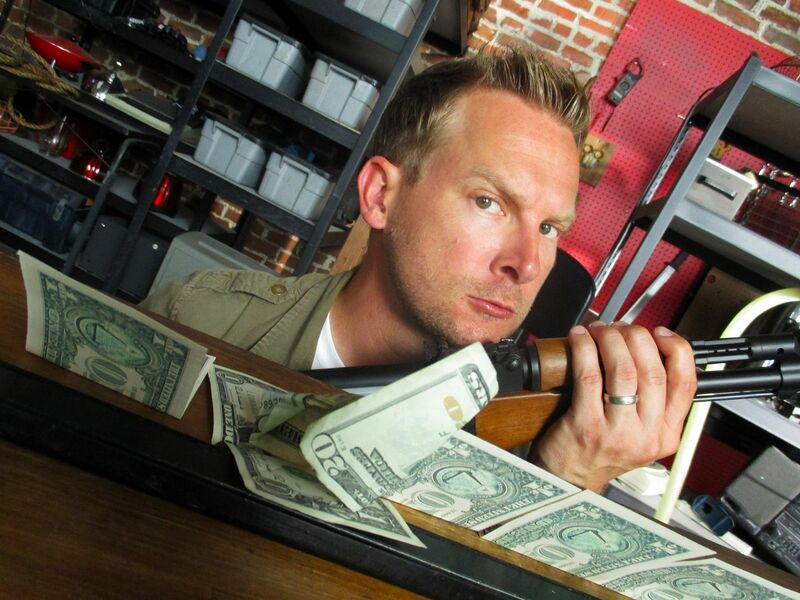 : In the workshop, Brian poses with a rifle next to a line of bills and a magnet. In this scene, he uses the magnet to find the real dollar bill amongst counterfeits. This image is from Hacking The System. 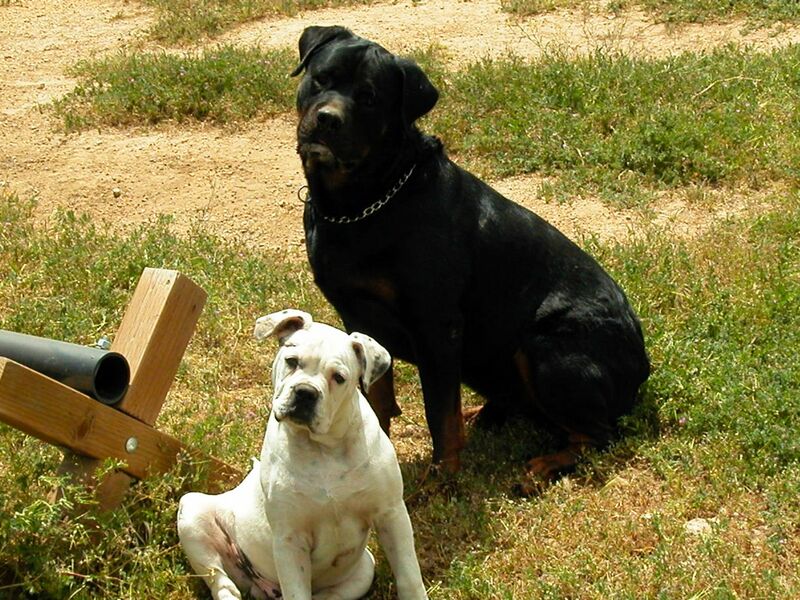 Bastian and a younger Gunny outside at the McKendrick residence. This image is from Cesar To The Rescue. Grand Teton National Park, Wyo. 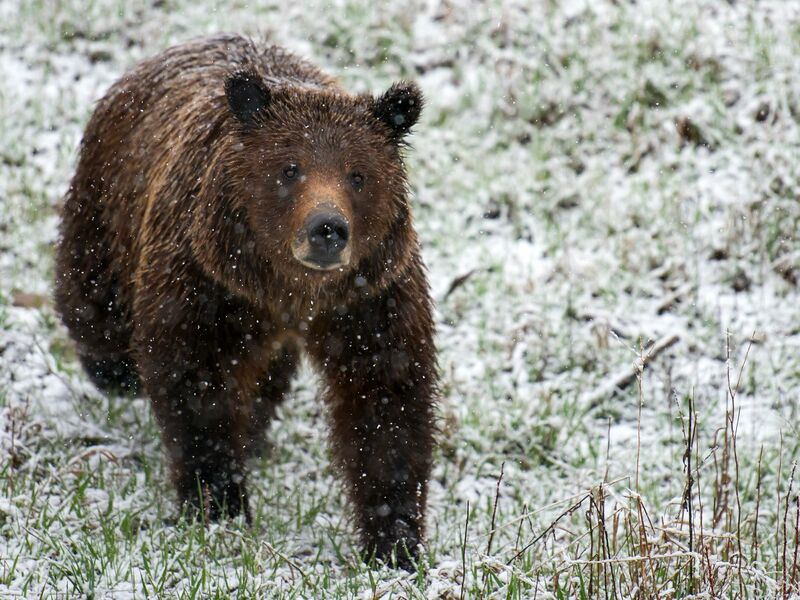 : Brown bear in the early spring snow. This image is from Wild Yellowstone. 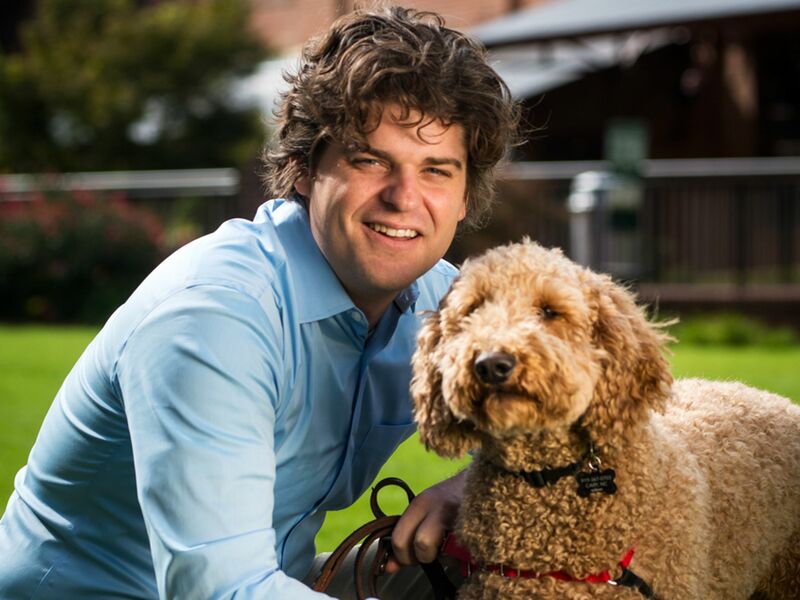 Dr. Brian Hare kneels with Finley the dog. This image is from Is Your Dog A Genius? 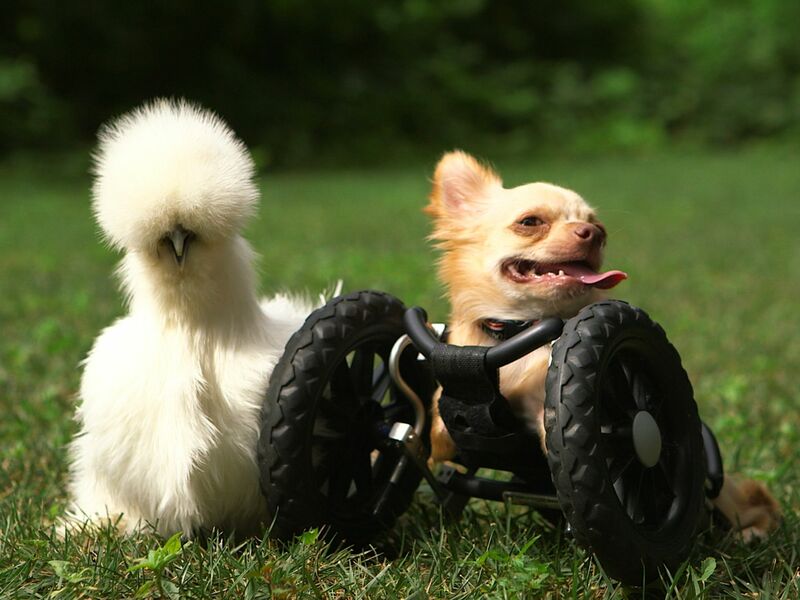 Two-legged chihuahua Roo is right next to his best buddy Penny, a silkie chicken. Both of these two-legged orphans found friendship, and family, with one another after being rescued by Alicia Williams, a worker at Duluth Animal Hospital. This image is from Unlikely Animal Friends. 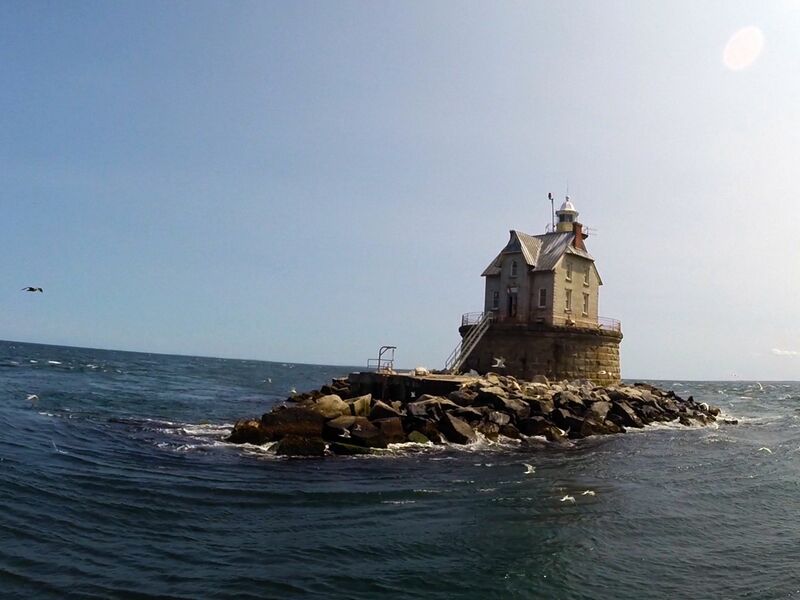 Long Island, N.Y.: The Race Rock Lighthouse stands in Long Island Sound on a beautiful afternoon. This image is from The Watch. 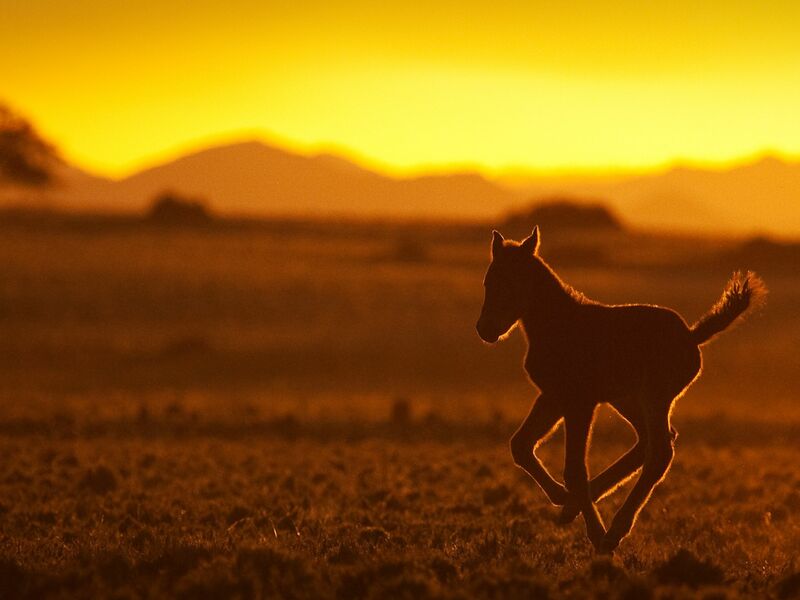 Namibia: A foal in the sunset. This image is from Africa's Wild West. Gloucester, Mass. 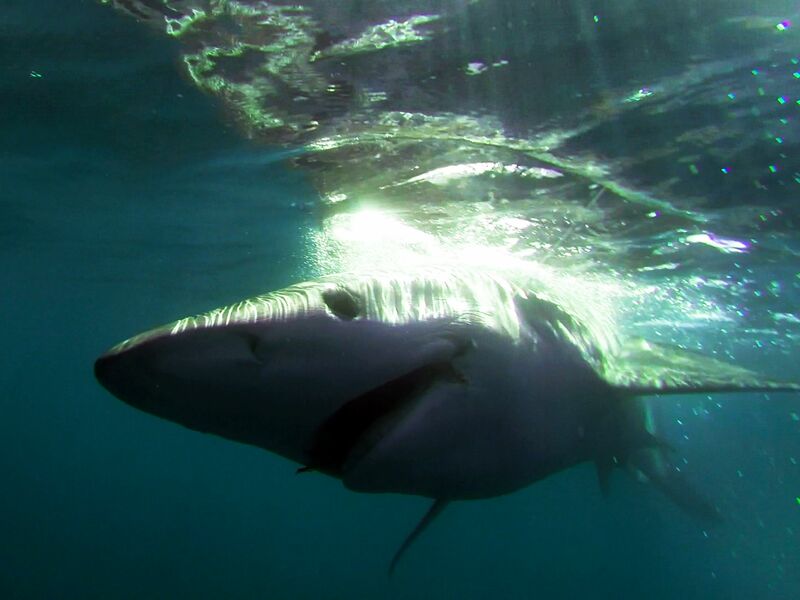 : The nemesis of all tuna fishing captains, a shark. This image is from Wicked Tuna. 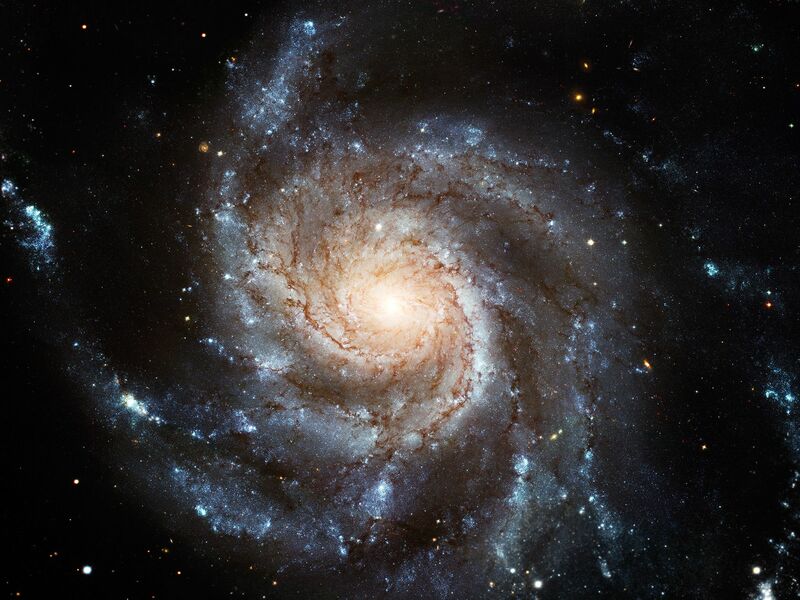 The Pin Wheel Galaxy. This image is from Hubble's Cosmic Journey. Grass Valley, CA. 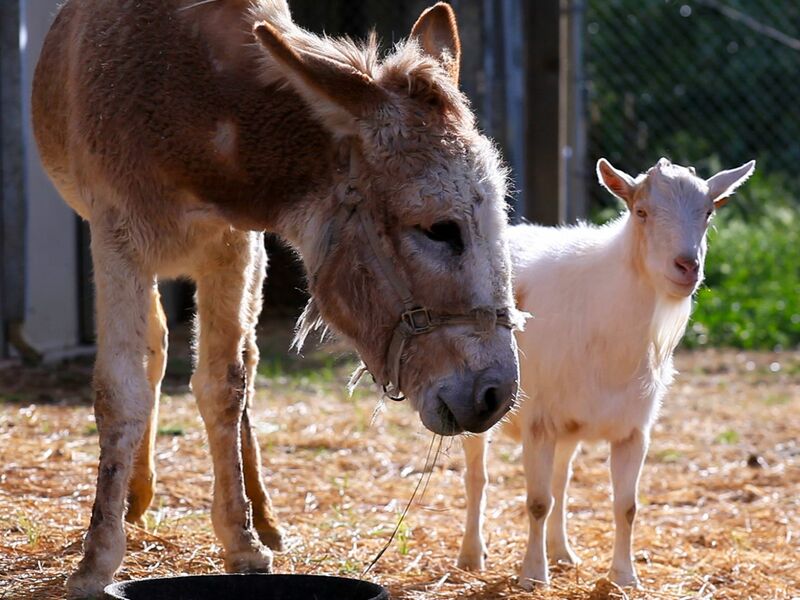 : Unlikely animal friends Jellybean, a donkey, and Mr. G, a goat, stand side-by-side at a sanctuary called Animal Place. Mr. G was first brought to Animal Place alone, but went on a hunger strike due to being separated from his best friend, Jellybean. The donkey was transported to Animal Place, the two were reunited, and the hunger strike was over. This image is from Unlikely Animal Friends. 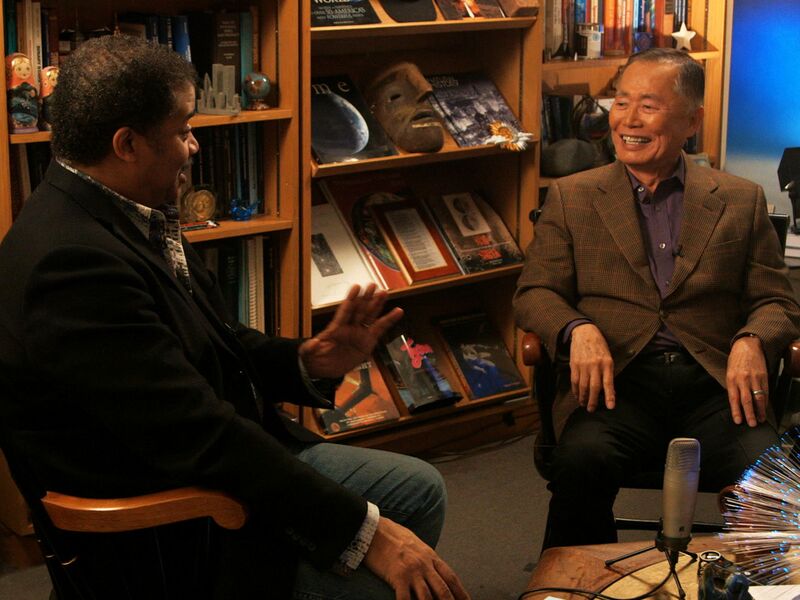 New York, N.Y.: Host Neil deGrasse Tyson interviews George Takei, widely known for his role as Hikaru Sulu, helmsman of the USS Enterprise in the original Star Trek television series.â¨This image is from StarTalk. 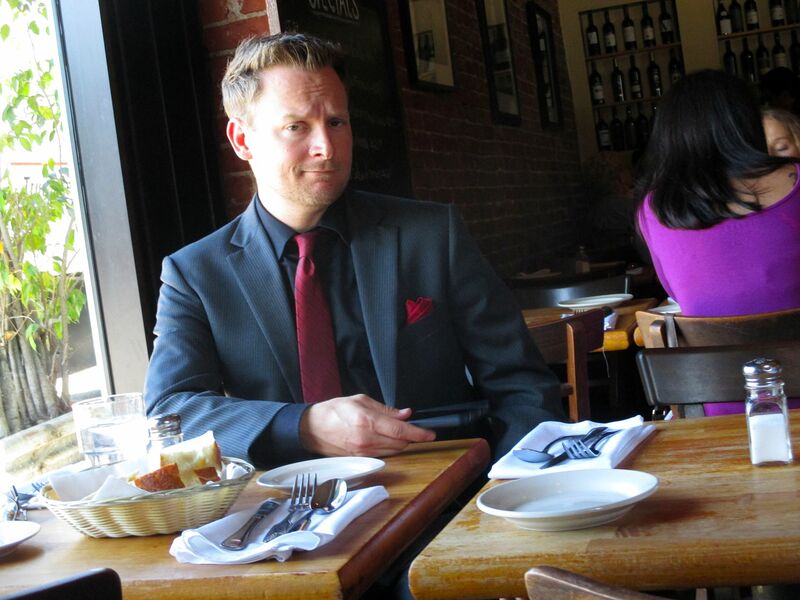 Los Angeles, Ca - Brian sits at a table next to the window at the restaurant and patiently waits for his server to arrive. He is going to try to get better service than Jason, who is across the restaurant. This image is from Hacking The System. 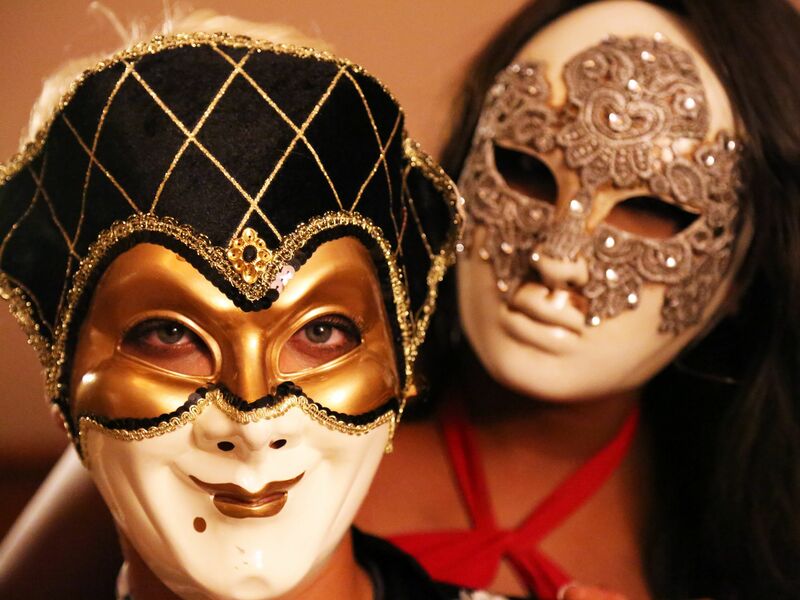 New York, N.Y.: (Left to Right) Princess and Candy are getting ready for another night of johns visiting the brothel and home visits to clients whilst putting their lives at risk. 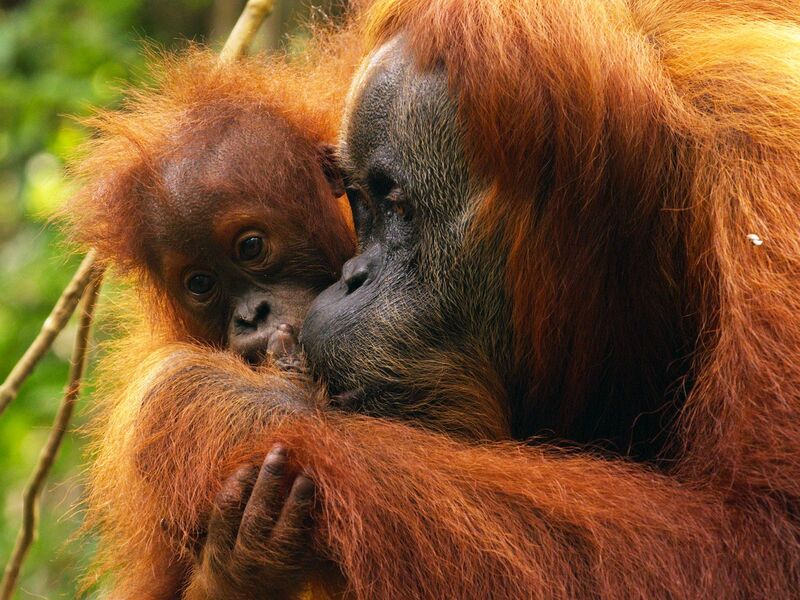 This image is from Underworld, Inc.
Aceh, Indonesia: A young orangutan will spend up to 8 to 9 years with it's mother. 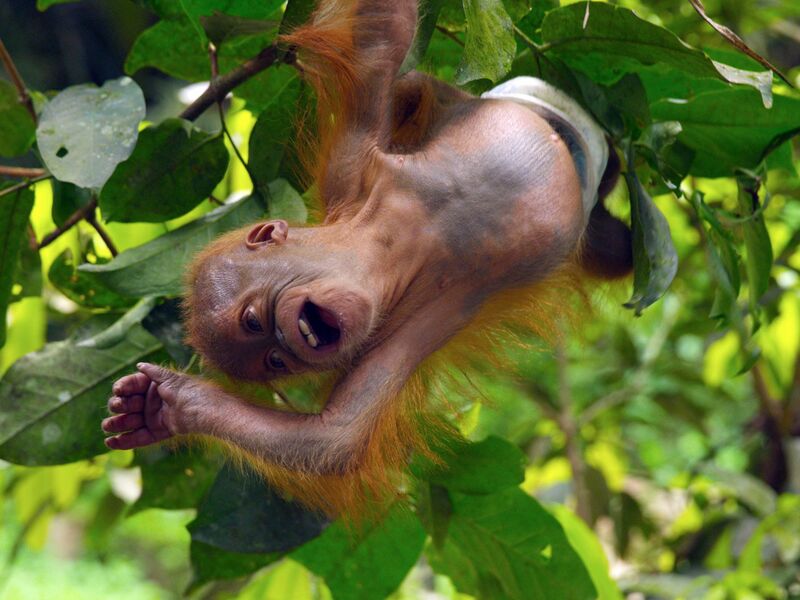 This image is from The Last Orangutan Eden. 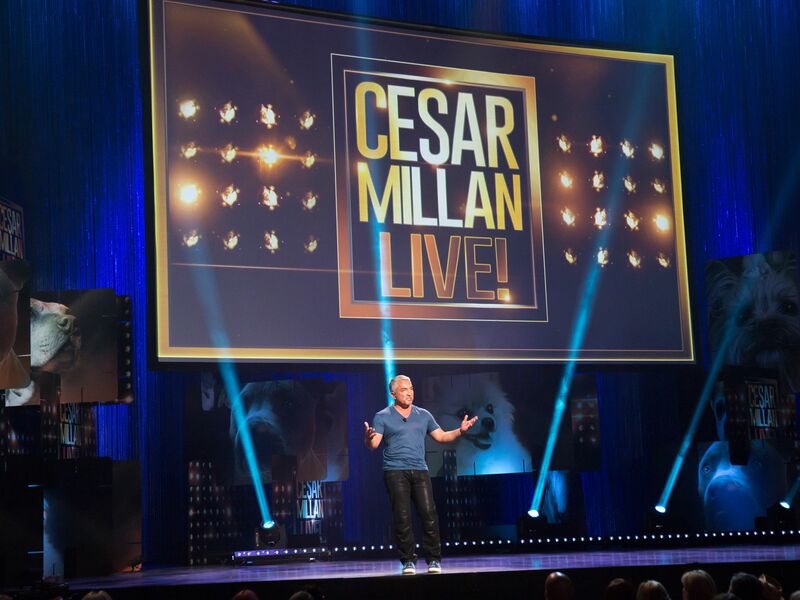 Cesar Millan at the Las Vegas Cesar LIVE event. This image is from Cesar Millan: Viva Las Vegas! 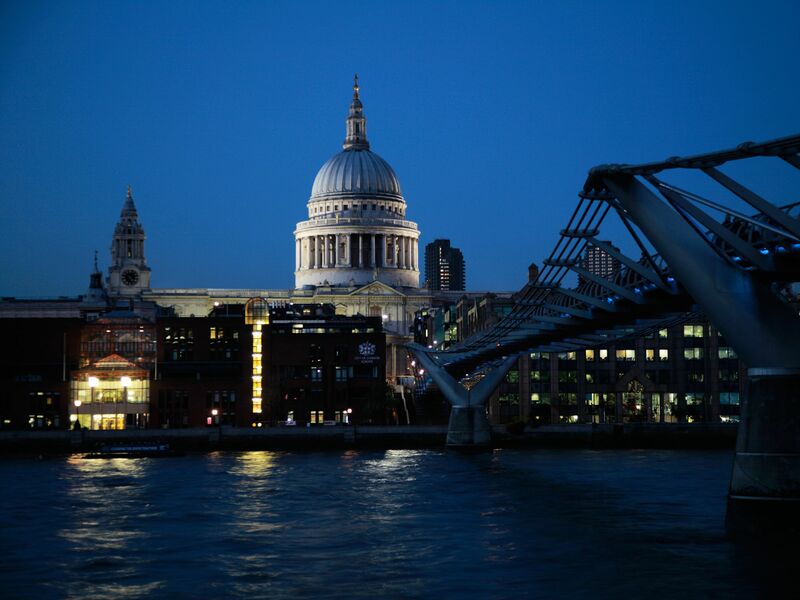 The Millennium Bridge in London. This image is from Mankind From Space. 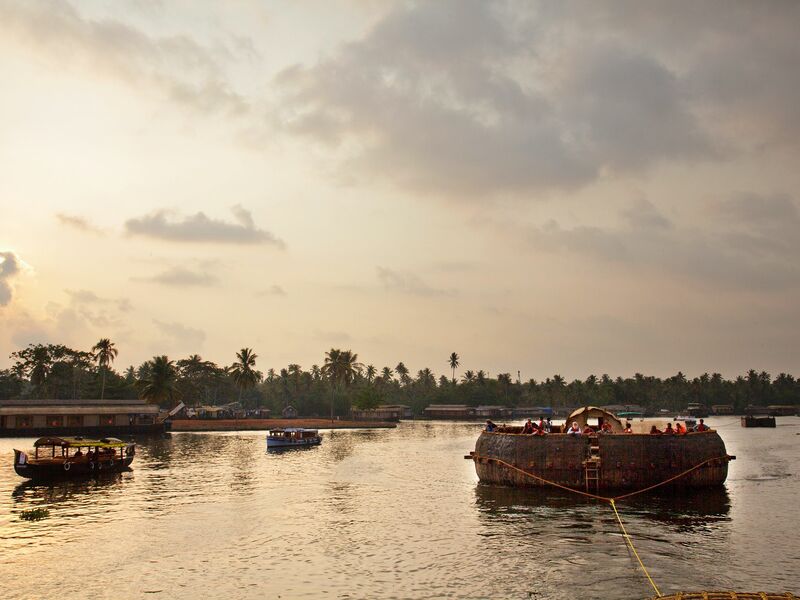 India: The Ark floating in the lake after the longly anticipated launch. Irving Finkel, Tom Vosmer, Eric Staples, Alessandro Ghidoni all on board. This image is from Rebuilding Noah's Ark. 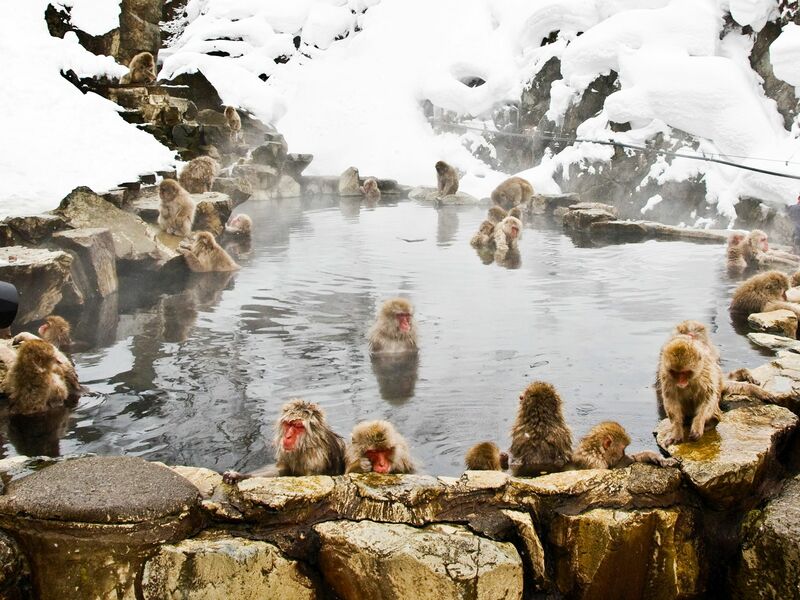 Japanese macaques have been visiting this hot pool since the 1960s. This image is from Japan's Wild Year. 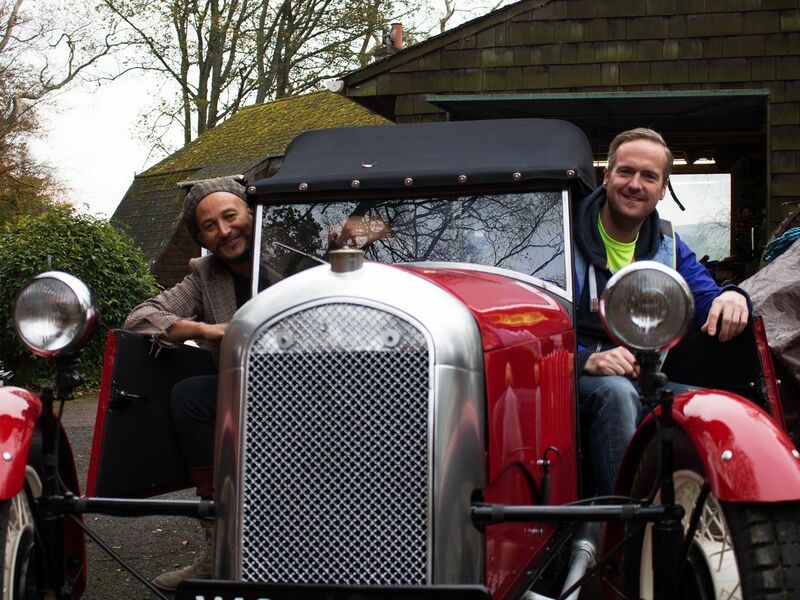 Pondicherry, Rothbury, United Kingdom: Tim Shaw, right, and Fuzz Townshend in the fully restored Morgan at the reveal. This image is from Car S.O.S. Grand Teton National Park, Wyo. 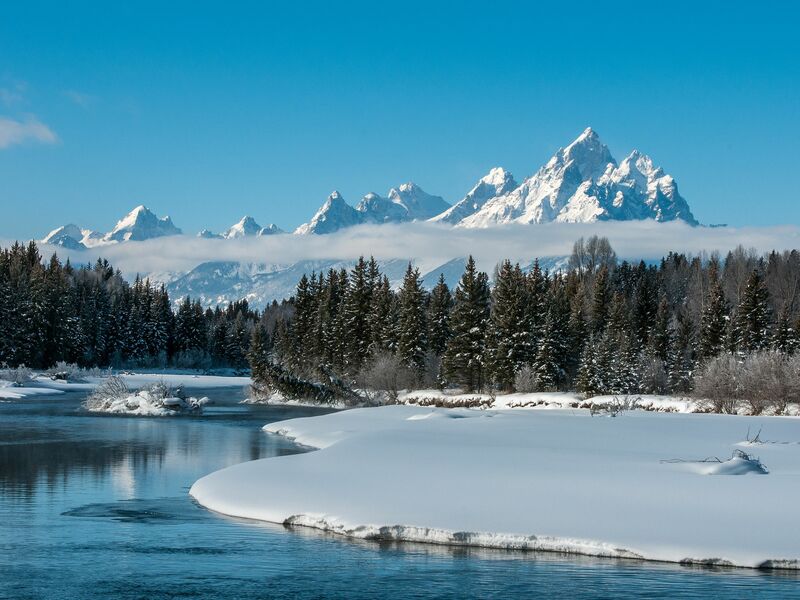 :The Snake River meanders in front of the Teton Mountains mid winter. 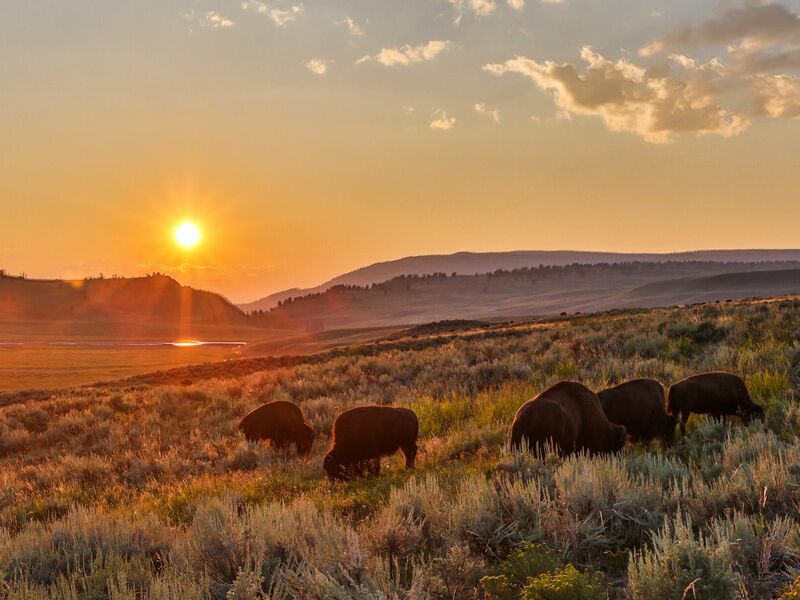 This image is from Wild Yellowstone. 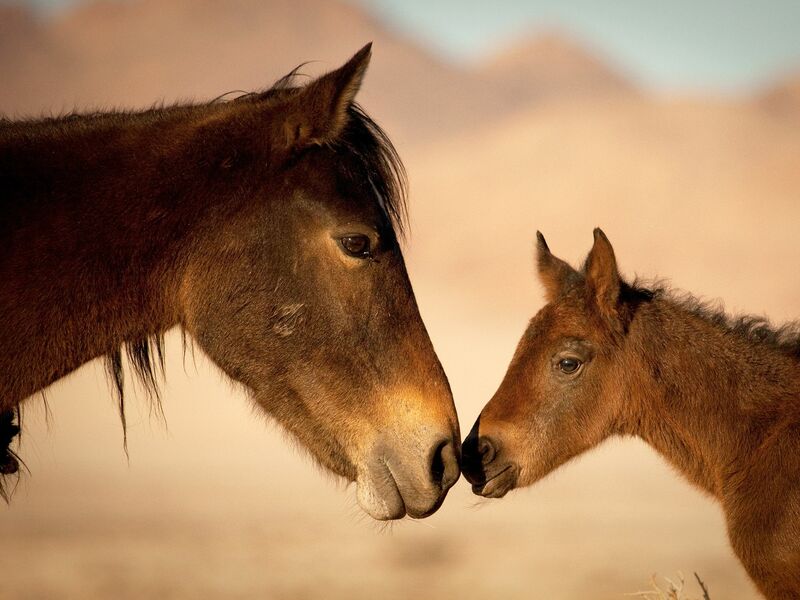 Namibia: Female Horse and a foal kissing. This image is from Africa's Wild West. North Sumatra, Indonesia: For this six month old the road to recovery will be a long one. He still has a lot to learn. This image is from The Last Orangutan Eden. Separated from mainland Africa for more than a hundred million years, life on Madagascar has followed its own evolutionary path. Preserved by its isolation, it is home to a host of creatures found nowhere else: lemurs, chameleons, bizarre insects and the fossa. 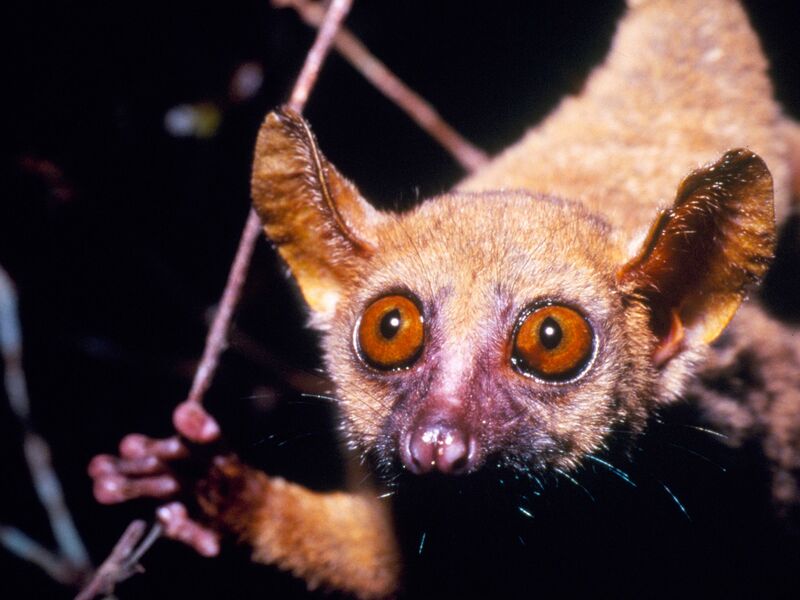 This image is from Wild Madagascar. 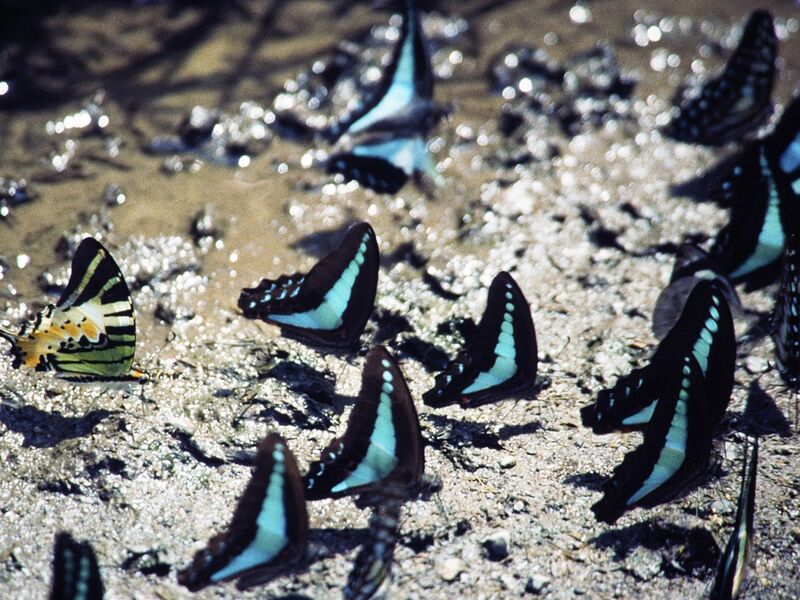 Common blue bottle butterflies, and a five-bar swallowtail. This image is from Wild Indonesia. 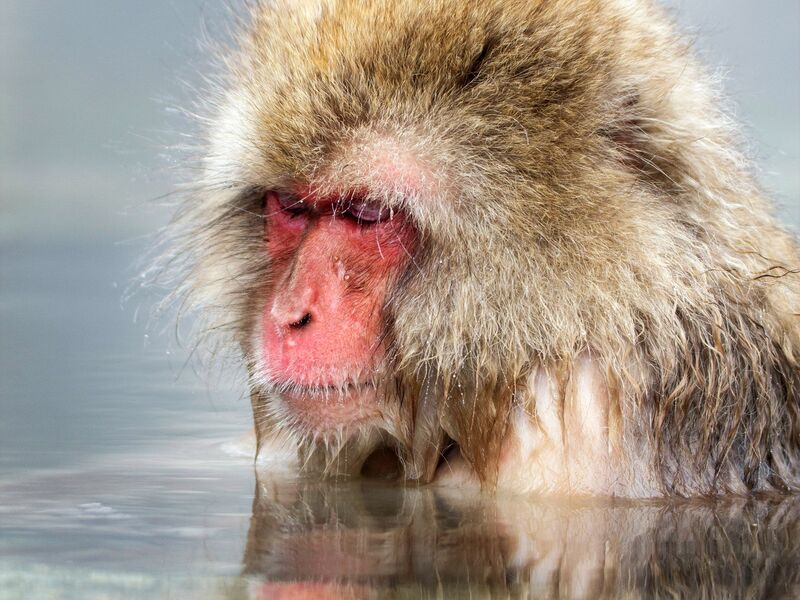 Japanese macaques are also known as snow monkeys and live in large troops. This image is from Japan's Wild Year. 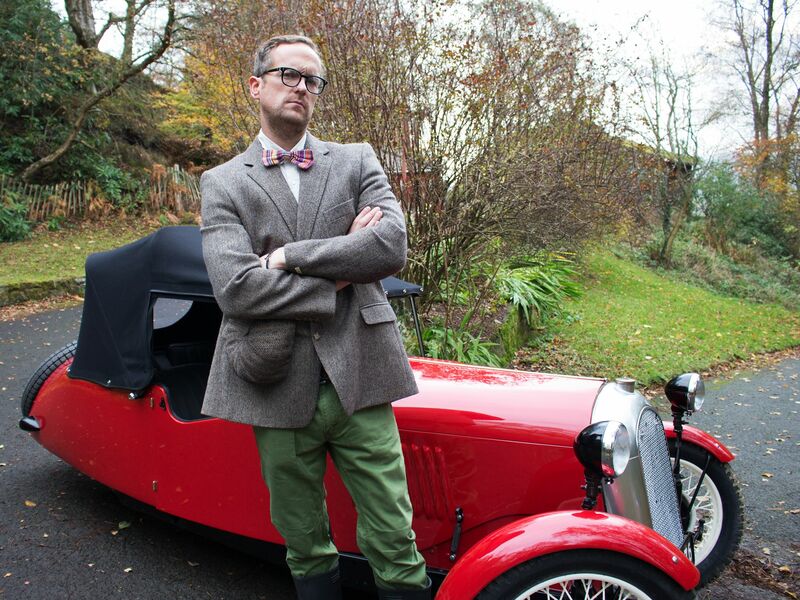 Pondicherry, Rothbury, United Kingdom: Tim Shaw in his 'undercover' costume as a University lecturer worn for the Morgan reveal. This image is from Car S.O.S.